Your feet are the foundation of your body, supporting you when you stand and move; and they help protect your spine, bones and soft tissues from damaging stress. Your feet perform better, and your body is more balanced, when all their muscles, arches and bones are in their ideal stable positions. Research shows that flat feet transmit stress to your ankles, knees, pelvis and ultimately your spine. Healthy feet have 3 arches. If there is compromise of one arch, the other 2 must compensate and are subject to additional stresses. These imbalances may occur even if you’re not experiencing foot pain. Though they may go unnoticed, they contribute to postural misalignments, pain throughout your body and fatigue. A loss of arch height will cause a flattening and rolling of the foot— this is called pronation. Because everything is connected, the bones of the leg also inwardly rotate. Excessive rotation of the bones of the leg will cause unnecessary stresses on the knee as well as twisting of the pelvis and spine. Shock through the heel when walking can result from this breakdown of the body’s natural “shock absorbers.” The shock wave then transmits up the kinetic chain causing painful symptoms all the way up to the head and aggravation of other conditions. How Can We Bring Back Balance? By stabilizing and balancing your feet, Foot Levelers enhance your body’s performance and efficiency, reduce pain and contribute to your total body wellness. They provide structural support, yet allow the foot to retain a full range of motion. Our Spinal Pelvic Stabilizers are shoe inserts which support your feet, thereby creating a stable foundation upon which to build proper body posture. Spinal Pelvic Stabilizers have proven themselves time and again. Over the years, Foot Levelers have helped over a million people enjoy healthier and happier lives. Wearing Stabilizers inside your shoes is similar to placing a shim beneath the leg of a wobbly table — it adds support to eliminate unwanted motion in the entire structure. Flexible Spinal Pelvic Stabilizers encourage optimal muscle and nerve function by guiding the feet through a more normal pattern with each step taken. Your foot is formed of 3 distinct arches. The result of supporting these arches is improved stability and postural integrity. Support the foot to control excessive and unwanted pronation and supination. Reduce unwanted stress on the body. Improved shock absorption reduces repetitive stress on joints and muscles. The custom process begins as you stand on a foot analysis system. An electronic image of your feet is captured and sent electronically with your doctor’s instructions to a laboratory. Using 16 precise measurements, a custom built, posture-correcting stabilizer is created to meet your individual, specific postural needs. Your new Foot Levelers will be sent to Rubin Health Center, and we’ll show you how to wear and care for them. Why Do We Use Foot Levelers? Your lifestyle, age, weight, activity level, and condition are all considered your stabilizers are custom-made. Do you participate regularly in a sport? Have you had a prior knee injury, back injury or neck injury? Do you walk “toe out”? You can find more answers to your foot questions here, or testimonials from people who are pain-free from Foot Levelers here. 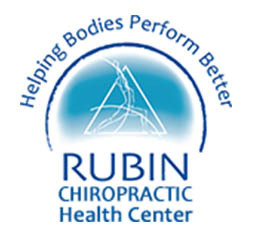 Read more Rubin Health Center testimonials here.